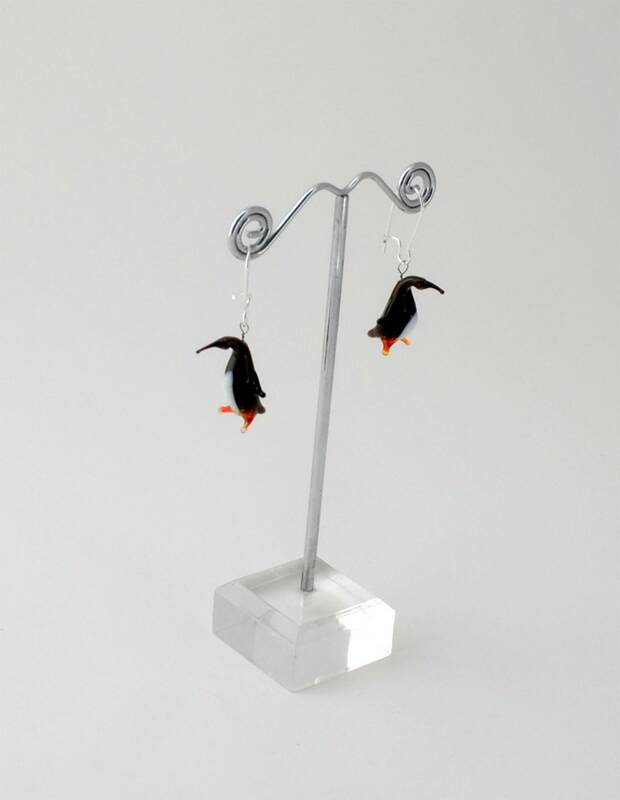 Handmade, lamp worked glass miniature Penguin earring. The earrings are the same size and weight as the animals in the Miniature Animal Kingdom and they are $20.00 a pair. The earring wire is made of surgical steel. 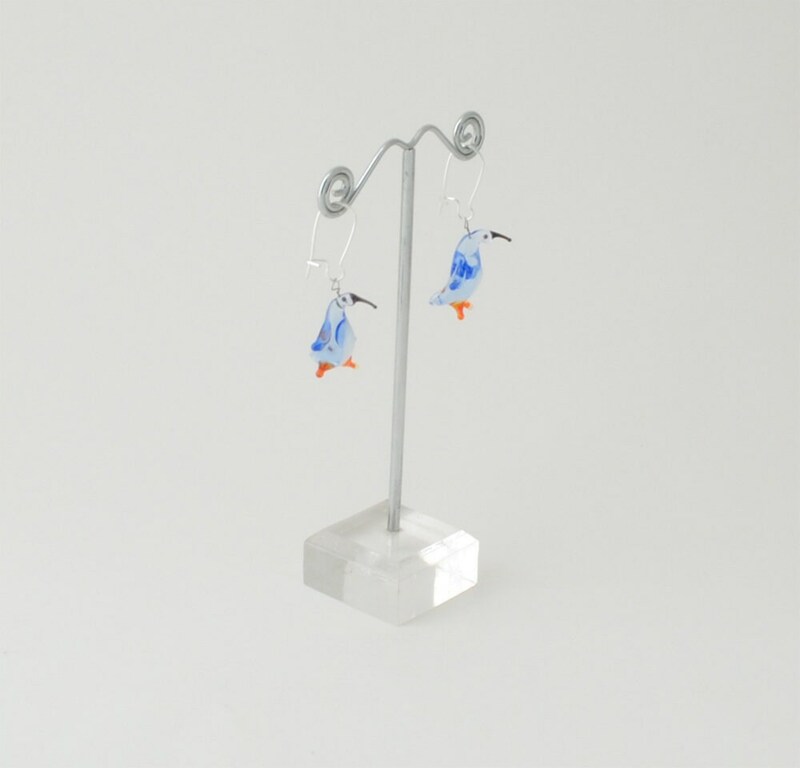 We produce 60 different styles of earrings like birds, hippos, giraffe, pigs, insects, sea life, snakes, turtles, lizards and a few fantasy / whimsy earrings like ghost, snowmen, flying pig,and dragon. The earring stands are not included.